Today I am sharing one more recipe from the “comfort food” category. 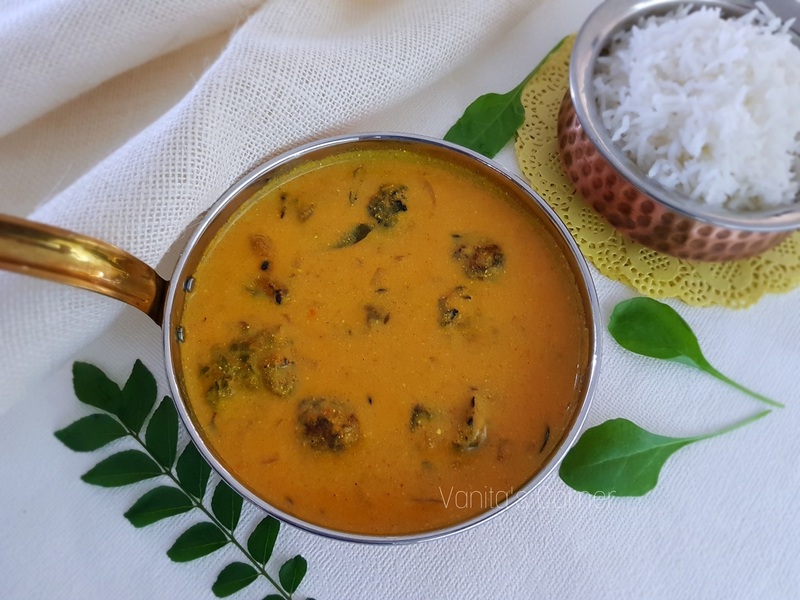 Palak Pakodi Kadhi is a kadhi made by adding palak pakodis to it. The addition of palak pakodis elevates the humble kadhi to a grand dish. The highlight of this dish is that the palak pakodis are not fried, but are cooked in a paniyaram pan (appam pan). 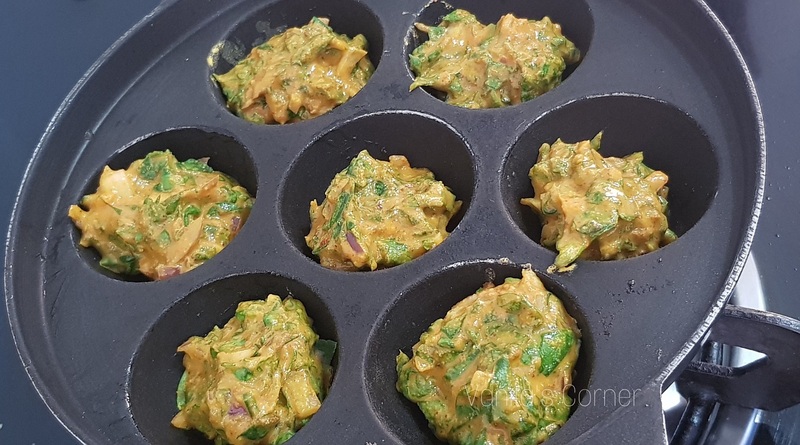 In a mixing bowl, mix the chopped spinach leaves , chopped onions, gram flour, chilly powder, turmeric powder, cumin seeds, oil, salt and a little water to make a thick batter. Heat and grease a paniyaram (appam) pan. Drop 1 tbsp batter in each depression. Cover and cook on low flame for 4 to 5 minutes. Turn the pakodas and cook again for 4 to 5 minutes. Remove and keep this aside. In a bowl, mix the curds and gram flour thoroughly. Add the cumin seeds, green chillies and curry leaves. Add the chopped garlic and onions. Add the curd and gram flour mixture, turmeric powder, red chilly powder, salt, 1/2 cup of water and cook for few minutes. To the kadhi, add the palak pakodis and cook for another 3 to 5 minutes.